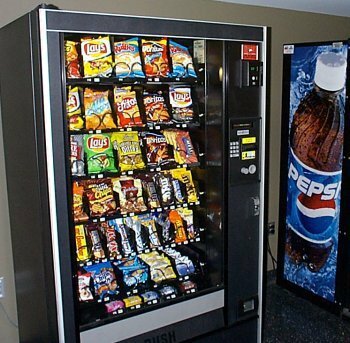 Vending Machines Route Over 60 Accounts with over 200 Machines in Place This long established vending route has over 100 active accounts covering Cape Cod and the SouthCoast. The Cape Cod route is available as a stand alone business...it has 62 accounts and 98 machines in place. 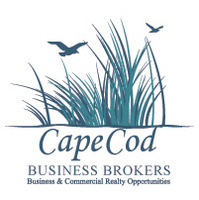 Sales for the Cape Cod route in 2015 were $215,000. Additional machines are being added in 2016. The business comes with all the accounts in place and fully functioning and includes delivery trucks, change and bill counters, back-up equipment, replacement parts as well as spare dollar bill validators and coin mechanisms. During the summer season the Cape route is serviced 2 � to 3 days per week. During the rest of the year it takes two days. The company owns the snack machines. Most of the drink machines are provided by Coke and Pepsi from whom product is purchased. Coke and Pepsi also repair and maintain their machines. Currently, 12 machines are equipped to accept credit cards. All machines can be so adapted. The company also owns another 20 or so machines which are currently in storage but are suitable to placement in the field for new accounts. In addition the company has over 100 change mechanisms and about 60 dollar bill validators on hand along with a wide variety of spare parts used to repair and service machines in the field. This is a turn key opportunity. Everything is in place to seamlessly transition the business to a new owner. Product suppliers are in place, the machines are fully stocked with snacks, drinks and other products and are loaded with the coin and currency change necessary to operate smoothly. Included in the sale are all the assets of the business including the accounts, snack vending machines, equipment, replacement parts, a Ford E350 box truck, trade name, customer lists, vendor list, technology, phone number and other items required for operation of this Turn-Key business along with the company�s excellent reputation and good will. The Cape Cod Route business is offered at $175,000 plus the wholesale cost of inventory. There is a separate similar size route of the Southcoast also available for a similar price. The cost for the two routes together is $350,000.